Brides, are all of your bridesmaids single? Well, here is a fun twist on the idea of the Bridesmaid's Charm Cake! 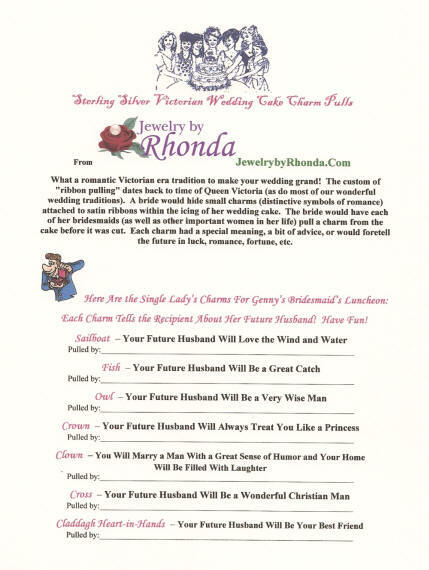 Each Sterling Silver Charm on this page will tell the recipient what her future husband will be like. Have fun with them! 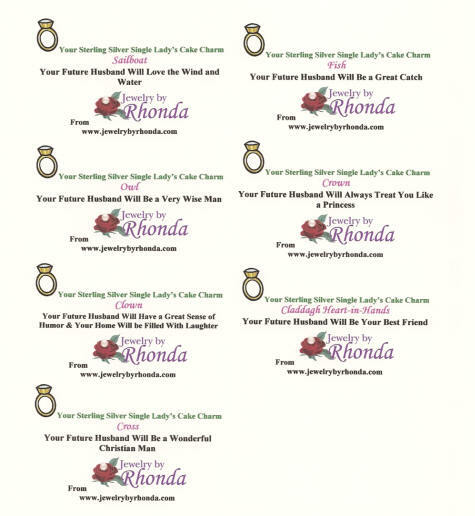 Your charm order comes on your choice of satin ribbons and with a personalized description card. You can also request a second sheet with individual descriptions for you to cut apart (no charge) - just let me know you need the second page.